This week starts the regular programming at the Vieux Carre, located in the old Artists’ Quarter space in the Hamm Building in downtown Saint Paul. They will be featuring resident talent, with jazz at least two nights a week and during early evening (5:30 – 7:30pm). This week also features what has become a favorite festival of Twin Citizens – the fifth edition of The Roots, Rock, and Deep Blues Festival, which has expanded to four stages this year. We are blessed with considerable resident talent and an ability to attract lots of visiting talent. Music lifts the spirit. Pete Whitman X-Tet @ Jazz Central, Minneapolis. 8:30pm ($10 Suggested Donation) Oh boy, Whitman is bringing his ten-piece little big band out to play, something that’s been mighty rare in the last 18 months. the membership sometimes varies, but you’ll find some of the best players in town in this aggregation. Chris Lomheim Trio @ Vieux Carre, Saint Paul. 7pm ($?) Even before its official opening this past Tuesday, The Vieux was named as one of the best Speakeasy Bars in town, a nod to it’s basement location, dark atmosphere and craft cocktails. But the real reason to go there tonight is to hear the wonderful piano playing of Chris Lomheim, who can transport you to wonderful places with his ethereal solos. Charlie Christenson Standards Trio @ Jazz Central, Minneapolis. 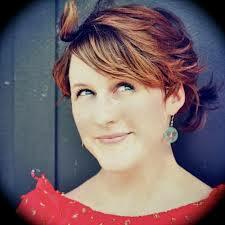 7:30pm ($10 Suggested Donation) Christensonis the head of the McNally Smith Vocal Department. He’ll be joined by Graydon Peterson, bass; and Matt Edlund, drums to take a new look at America’s standards. Red Planet @ Studio Z, Saint Paul, 8pm ($10) Dean Magraw, guitar; Chris Bates, bass; and Jay Epstein, drums. Three first-call musicians, who would be on the A-list, no matter the town. Todd Harper @ The Black Dog Coffee and Wine Bar, Saint Paul. 5:30 – 7:30pm (Tip Jar) Whether freely improvising or taking off from a composed piece, pianist Harper provides perfect music to start the weekend. 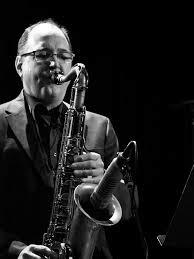 Tonight he’s join by saxophonist Chris Hagedorn. Kjeer, Horst & Friends@ The Nicollet Cafe, Minneapolis. 9pm (tip Jar) It’s a bit of a family affair as young Will Kjeer, a pianist who is about to enter CalArts after a year at Interlachen Center for the Arts in Michigan, is paired with his uncle, the ageless drummer Kenny Horst, and some of their friends, which is a mighty long list. Here’s Will with other students at his Interlachen recital. Dean Magraw and Steven Hobert @ Jazz Central, Minneapolis. 7:00pm ($10 Suggested Donation) Take the imagination of guitarist Dean Magraw, and pair it with the whimsey and sensitivity of pianist Steven Hobert, and you have a fine formula for music that will engage your mind as well as your spirit. Linda Peterson Trio @ Crooners Lounge & Supper Club, Fridley. 7:30pm (No Cover) The piano playing daughter of the Peterson clan has spent a lifetime successfully singing her way into the hearts of Southern Californians. Now Peterson is back in town and entertaining us. The Jazz Bridge Project @ SW Craft Bar (Senor Wongs), Saint Paul. 8pm ($?) I haven’t heard of this group before, though they have been playing every once in a while for a couple of years or so. I’ve certainly heard of half of its players: Sten, Ron, and Ted. Given the quality of their playing alone, this group seems to be a worthwhile listen. Sten Johnson, sax; Roger Johnson, guitar; Ron Evaniuk, upright bass; Bill Paul, percussion, Ted Godbout, keys; and Rajiah Johnson, flute. Brian Grivna @ Jazz Central, Minneapolis. 8:30pm ($10 Suggested Donation) Grivna is a strong sax player who can often be found in the pit orchestra’s of touring shows, as well as in the JazzMN Orchestra and Pete Whitman’s X-Tet. Tonight he plays what he wants to play, rather than the arrangements of others. Nachito Herrera and the Universals @ the Dakota, Minneapolis. 7pm ($230, $35) On Monday, the Cuban flag will be raised above the Cuban embassy in Washington, and the U.S. flag will be raised above the American embassy in Havana. Cuban-born fiery pianistNachito Herrera is celebrating with special guests: Raul Pineda, a Cuban drummer who has had three Grammy Nominations and won a Grammy for his work with the Chuchu Valdez Quartet on the album Live at the Village Vanguard; Violinist Karen Brigg brings four decades of music across a wide variety of genres to the party. I interviewed Herrera on my show on Saturday, the 11th. You can hear the interview at: http://kfai.org/rhythmandgrooves. Paul Seeba @ Landmark Center, Saint Paul. Noon – 1pm (Free) Though he now lives in Saint Paul, singer/songwriter Seeba is from the Iron Range, and his songs evoke the Midwest. In fact, one of his songs, Mitchell Yards is about the historic switching yards of Hibbing, and will be used in a PBS documentary about the site. New Shoes @ The Vieux Carre, Saint Paul. 7 pm ($5) Now that the Vieux Carre (voo ma-ray) is officially opened, the scheduling will begin. Tonight it’s New Shoes (Gary Raynor, Richard Kreihn, Joe Savage, Peter Johnson), all veterans of the Guys All Star Shoe band of Prairie Home Companion fame. They’re well-versed in all manners of music. Jimmy “Duck” Holmes on KFAI and @ The 331 Club, Minneapolis. 5pm (90.3and 106.7FM), 7pm – 8pm (331 Club – tip Jar) If you like the style of Mississippi blues as practiced by Skip James, you’ll love this show, as “Duck’ Holmes is a proponent of the distinctive “Beltonia” style as practiced by James. Holmes runs the Blue Front in Bentonia, one of the oldest juke joints in Mississippi. After years of causal playing, he began performing in ernest in the 2000s, and has earned a number of awards and accolades since. He’ll be playing one show at the 331, followed by Jack Klatt from 8-9pm. He’ll also be playing at the Roots, Rock & Deep Blues Festival Saturday, and may show up at other venues around town (Hell’s Kitchen Brunch on Sunday). Thursday, July 16LP Music @ The Dakota, Minneapolis. 7pm ($10). Essentially, this is an all-star group of area players, performing improvised funk, including: Gram,my winnings Erik Leeds, sax, flute, vocals; multi-instrumentalist Paul Peterson, bass, guitar; Peter Schimke, keys; and Stokely Williams, drums, percussion, & vocals. Roots, Rock, & Deep Blues Pre-Party with Miss Tess & the Talkbacks and the Dieselfitters @ Harriet Brewing Tap Room, Minneapolis. 7pm (Free) Fans of Eilen Jewell will find much to like inMiss Tess & the Talkbacks. Miss Tess writes and performs songs that are part Honky-Tonk, part Americana, with a touch of Western Swing, and a pinch of old time jazz. The rockabilly/honkytonk Dieselfitters open at 7pm, and Miss Tess comes on at 9pm. Como Avenue Jug Band @ Vieux Carre, Saint Paul. 7pm ($8) Booking at the new Vieux Carre will center on resident talent, with at least two evenings a week dedicated to jazz and the other evenings featuring mostly acoustic acts. Tonight it’s those purveyors of happiness, The Como Avenue Jug Band. Left Lane Cruiser @ Bayport BBQ, Bayport. 8pm ($10) Opening by Catl. Indiana’s gut-bucket blues trio has been a favorite of area fans since they first started showing up at the original Deep Blues Festival back in 2007. Opening is Toronto’s own punk-blues duo, Catl. Roots, Rock and Deep Blues Festival at Harriet Brewing and Patrick’s Cabaret, Minneapolis. Noon – Midnight ($15 advance, $20 door) Four, count em’, four stages, overflowing with talent, from the home-grown – Spider John Koerner, Charlie Parr, Willie Murphy & the Angel-Headed Hipsters, Black Market Brass – to visitors such as Left-Lane Cruiser, Jimmy “Duck” Holmes, Kent Burnside and more. Complete with food trucks, deejays, and everything else that made this festival win several “Best of” awards last year. Blind Boys of Alabama @ The Dakota, Minneapolis. 8pm ($45 – $50) Soul stirring, rafter shaking gospel music from a group with a tradition that goes back 70 years, though they aren’t afraid of non-gospel songs with feeling, or in fact, pairing up with various pop/soul/jazz acts. Roots, Rock, and Deep Blues After Party @ The Eagles Club #34, Minneapolis. 9:30pm ($?) Just in case you didn’t get to the RRDB, or simply want more music. Poverty Hash, Gaslighters Union, and the Out of Controllers will be keeping the day’s vibe going. Here’s Poverty Hash. Joe & Vicky Price @ The Icehouse, Minneapolis. 11am (No Cover) Delta-inspired blues from Iowa. The Prices rightfully have a strong following in the area. Have some brunch and find out why.Jeff Ray & Hurricane Harold @ Brookside Bar & Grill, Marine on Saint Croix. 3pm (No Cover) Take a road trip to the riverside town north of Stillwater to catch this guitar/blues harp duo taking on classic blues, Dylan, and even the Grateful Dead. Word is, they’ll have some friends along too, to enriched the music. Joe Fingers @ Dunn Brothers on Grand, Saint Paul. 7:30pm (Tip Jar) Grab a cuppa Joe and listen to a finger-picking champion. Where to go, what to do. There are only so many hours in a day, and only so many entertainment dollars at our disposal. I try to give you some ideas on where to go. You’ve got to come up with your own resources to support the arts. And they do deserve your support. Musicians have mastered the techniques of their instruments, collaborated with other artists on arrangements, often booked their own gigs, and then transported equipment and set up without the help of roadies. Just so we can listen and be inspired, or dance, which is pretty awesome when you think about it. Music lifts the spirit. Stu Blue and Friends @ Lake Harriet Spiritual Community, 4401 Upton Avenue South, Minneapolis. 6:30 – 8:30 ($10) This is part of a new program by the Spiritual Community, and will feature Stu Blue, vocals, sax, flute; Martin Stovall, Sr., Percussion; George E. Antrim, III, Keys; and Ade Adegun, bass. Boomers vs Millenials @ Jazz Central, Minneapolis. 8:30pm ($10 Suggested Donation) More of a Boomers AND Millenials, since this quartet is made up of Pete Whitman, sax and Jay Young, bass (the Boomers) and Javi Santiago, piano and Miguel Hurtado, drums (the Millenials). Damman, Seru, & Fultz @ Khyber Pass Cafe, Saint Paul. 9pm ($5) Thursdays at Khyber Pass can be challenging for casual listeners, but for jazz fans, the night can be eye-opening and inspiring. Tonight features Joseph Damman, guitar; Scott Fultz, saxophones; and Davu Seru, drums and percussion. Damman and Seru have played together in Body Omara, a band that mines the Desert Blues of Northern Africa. Fultz contributes fine improvisations, no matter the musical circumstance. Kristin Sponcia Quartet @ Jazz Central, Minneapolis. 7pm($10 Suggested Donation) Pianist/vocalist Sponcia is back in the Twin Cities, taking a break from her graduate studies at the University of Illinois. Tonight the former MacNally Smith instructor is leading a group of mighty fine musicians: Chris Olson, guitar; Graydon Peterson, bass; and Dave Stanoch, drums. Travis Anderson Trio @ Parma 8200, Bloomington. 7:30pm (No Cover) The lounge at this D’Amico restaurant is a perfect place for the stylish playing of Anderson, vocals and piano; Steve Pikal, bass; and Nathan Norman, drums. BZ3 Organ Trio @ The Black Dog Coffee & Wine Bar, Saint Paul. 8pm ($5 – $20 Suggested Donation) Things are bound to get soulful at this Black Dog debut of Brian Ziemniak, B3 Organ; Troy Norton, guitar; Pete Hennig, drums. Chris Lomheim Trio @ Nicollet Cafe, Minneapolis. 9pm (Tip Jar) Lomheim on piano is joined by Gordy Johnson on bass and Reid Kennedy on drums. This is jazz, pure and simple. Here is Chris with a slightly different trio. Concert for Nepal @ Jazz Central, Minneapolis. 9:30pm ($20 Suggested Donation) This concert is raising money for the village of Suspa, a village hard hit by the recent earthquakes in Northeast Nepal. Javi Santiago, piano; Miguel Hurtado, drums; and Pawan Benjamin, on sax and Bansuri (a bamboo flute) will be providing Nepalese music, as well as soul and jazz, while you provide the donations, all of which will go to rebuild the village of Suspa. Granias, Thomas, & Ewart @ Studio Z, Saint paul 7pm ($15) If you are looking for adventurous, improvisational music, go no further. Chris Granias, piano; Carei Thomas, piano; and Douglas Ewart, reeds & invented instruments; will be exploring new improvisations for two pianos and assorted instruments. Saturday Night Jazz @ The Black Dog Coffee & Wine Bar, Saint Paul. 7pm ($5 – $20 Suggested Donation) Central Standard Time opens with Steve Kenny, trumpet; Stgen Johnson, sax; David Roos, guitar; Charlie Lincoln, bass; and Dennis Glaus, drums. 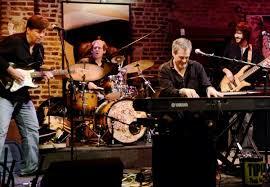 They are followed at 8:30 by Firebell: Park Evans, guitar; Graydon Peterson, bass; and Jay Epstein, drums. Patty & the Buttons, featuring Connie Evingson @ The Aster Cafe, Minneapolis. 9pm ($15) Patty & the Buttons is a four-piece swing band that uses material from a variety of genres as well as creating their own originals. Tonight they’re joined by chanteuse Connie Evingson, who thoroughly knows her way around a song. Here are Patty & the Buttons during one of their Sunday Swing Dance Brunch shows. David Martin @ Jazz Central, Minneapolis. 8:30pm ($10 Suggested Donation) Guitarist Martin, who often accompanies vocalists, will himself be accompanied tonight by Jim Cheoweth on bass and Joel Arpin on drums. You can expect some tunes from Martin’s recent duet album, Tough Commute. Twin Cities Latin Jazz Orchestra @ Jazz Central, Minneapolis. (donations welcome) This is an open rehearsal for this 18 piece big band. 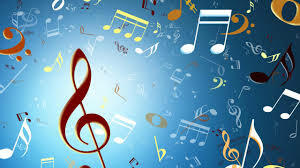 Donations are used to add more music to the project. Don Scott & Curtis Blake on KFAI and @ The 331 Club, Minneapolis. 5pm (90.3 & 106.7FM), 7pm (331 Club – tip Jar) Like two straws in a Coke, Guitarist/vocalist Scott and harmonica maestro Blake fit are a perfect musical duo. Scott’s voice has enough texture to give the blues some gravitas, while Blake provides fitting punctuation and commentary through his harp. Sailing Away @ the Bedlam Theater, Saint Paul. 7:30pm Downtown Saint Paul becomes more of a seaport than a river port for this evening of Sea Shanties, and sea songs. Heading the lineup is scholar/educator Bob Walser, who worked for a time as a shantyman at Mystic Seaport in Connecticut and has released 3 CDs. He’ll be helped along with music from Steven Levine, a regular at the Dubliner, and Saint Paul’s own Eddies, those mirthful purveyors of songs about work, death, and the sea. Mikkel Beckmen & Papa John Kolstad @ The Dubliner, Saint Paul. 5pm – 7pm (tip jar) Washboard percussionist Beckmen hosts a weekly gig at the Dubliner when he’s not recording or touring with the likes of Charlie Parr and other roots musicians. Tonight he brings in the venerable, wry Papa John Kolstad, who can swing and play the blues with equal aplomb. Reina del Cid CD Release @ The Cedar Cultural Center, Minneapolis. 7:30pm ($15) Reina del Cid is an excellent songwriter with a literary bent who manages to exceed the limitations of singer/songwriters by using a very good band, especially the very talented guitarist Toni Lindgren. Her new album, The Cooling, also makes use of a string quartet on the title track. Opening sets by Red Daughters and Pocket Watch. Orgone @ Bunker’s, Minneapolis. 9pm ($5) The 21st Century revival/adaption of soul n’ funk continues with Orgone, an 8-piece funk n’ jam band from Los Angeles. Frogleg opens. Joe Ely @ The Dakota, Minneapolis. 7 pm (435) The Lone Star troubadourhas had more of a rock influence than other Texas singer/songwriters. He sang with The Clash, was a member of the Flatlanders and Los Super Seven, and is one of those guys to whom the phrase “Outlaw Country” can easily be applied. Opening set by the Twin Cities own Dan Israel, who was named one of Austin Texas top songwriters when he lived there and who, in 2006 was named Songwriter of the Year here in Minnesota. Scottie Miller Band @ The Station, White Bear Lake. 9pm (No Cover) The tiny dance floor at The Station (formerly Manitou Station) will be filled with folks gyrating to the pianistic New Orleans sounds of Mr. Miller, who, by the way, can rock out with authority as well. Hipshaker @ The Kitty Cat Klub, Minneapolis. 9pm ($5) Get out the dancing shoes and floor talc. With the University beginning to empty out for the summer, there will be more room to dance to the rare funk n’ soul 45s of the Hipshaker crew. 4th Annual West Bank Reunion @ The Minnesota Music Cafe, Saint Paul ($10 advance, $15 Door) 8pm Former hippies, activists, and other aficionados of the West Bank scene will break out dancing shoes and gather once again to catch the rockin’ R&B of the Willie Murphy Band, with special guest Maurice Jacox. Mississippi Driftwood, with Larry Hayes, Tom Burns, and John Beach, will open. Groove Merchants feat Jimi Prime Time Smith @ Famous Dave’s, Minneapolis. 9pm (No Cover) The 7-piece Merchants used to be the engine that helped power the late Big Walter Smith. Though they no longer have his powerful voice, they still chug along quite mightily, and feature the stinging guitar and vocals of Jimi “Prime Time” Smith. Ray Barnard @ Dakota Late Night, Minneapolis. (11:30pm ($5) Barnardused to lead the roots-rock group The Copperheads. He’s also played with Erik Koskinen, Molly Maher, and Bill Geazy of Stoney Lonesome, among others. His most recent CD Where Would I Be Without You is his second solo effort, is largely self-performed, though with some help from guitarist/drummer Jeremy Johnson and guitarist/arranger Koskinen. Memory Lanes Block Party @ Memory Lanes, Minneapolis. 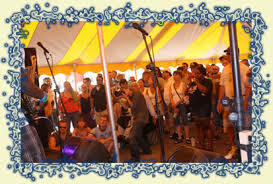 4pm (Free) Saturday seems to be set up for devotees of younger bands such as Black Audience, Southside Deisre, and Fort Wilson Riot, while Sunday is set aside for veteran rootsy bands such as L’Assasins, Crankshaft, Davina & the Vagabonds, and the Cactus Blossoms. HIpshaker Deejays will also be on hand both days. Here are the Cactus Blossoms. Otto, Roux, & Rue @ The 331 Club, Minneapolis. 6:30pm (Tip Jar) Doug Otto holds down the early spot on Mondays at the 331 Club and tonight is joined by Nikki Roux and Rich Rue of Nikki & the Ruemates for an early evening of blues and folk-rock. Stick around for the Roe Family Singers at 9pm. Well, another week, and another two dozen or so ideas for listening to music, whether it’s jazz, American, Classical, or undefinable. We’re blessed with very talented resident musicians and some very fine visiting musicians this week. 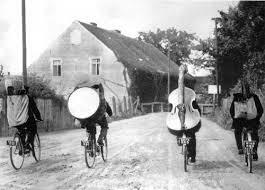 As you acclimate to the cold, get out and hear some music. It’s good for your spirits. Parisota Hot Club Trio @ The Tangiers, Minneapolis. 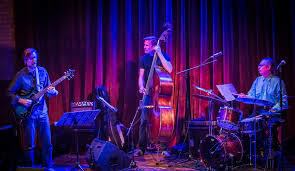 8pm (No Cover) The acoustic swing of the Parisota trio will work quite nicely in this club, which evokes the clubs of another, much earlier era. The Hot Club Trio consists of Robb Henry, electric guitar; Jay Epstein, drums; Matt Senjem, bass. McNally Smith X-Tet @ Jazz Central, Minneapolis. 8:30pm ($10 Suggested Donation) Pete Whitman has a passel of extremely talented young musicians in this band, which is actually more of a big band than an X-Tet. Their gig at The Bedlam Theater in Lowertown a month for so ago was exhilarating, with great solos from a number of players. Charlie Christenson Standards Trio @ Jazz Central, Minneapolis. 7:30pm ($10 Suggested Donation) Christenson is a well-respected vocalist and composer who has worked such New York jazz clubs as Birdland and Jazz at Lincoln Center, and has also developed training strategies for Apple, Inc. He’ll be accompanied by Graydon Peterson, bass; and Matt Edlund, drums; to perform standards and originals. Jazz Night @ the Black Dog Coffee & Wine Bar, Saint Paul. 5:30pm – 10:30pm. ($5 – $20 suggested Donations) Things get started with The Ordinary Mystics (Todd Harper, piano; Nathan Hanson, sax) around 5:30-ish, then from about 7 to about 8 it will be George Cartwright, sax; Michelle Kinney, cello; and Davu Seru, drums & percussion playing for the reception for Anne Elias, current artist on exhibit at the Black Dog. At 8:30, saxophonist Donald Washington comes in with Erik Jacobson, tuba; Brian Roessler, bass; and Davu Seru, drums and percussion. Peter Vircks Quartet @ Jazz Central, Minneapolis. 7:30pm ($10 Suggested Donation) Vircks is a highly regarded Minneapolis-based saxophonist who was a founding member of Moveable Feast and regularly plays with The Rhythmic Circus dance troupe. He’s recorded as a sideman on a dozen albums or so and can easily move into free improvisation when called upon. He’ll be appearing with Ron Evaniuk, bass; Brian Ziemniak, piano; and Kevin Washington, drums. St. Olaf Jazz Band 1 w/guests Brad Dutz and Chris Wabich @ Buntrock Center, Northfield. 8pm I don’t normally write about events this far out of town, but having seen Dutz and Wabich at Jazz Central last week, I want to mention this gig at St. Olaf. They’re appearing with the St. Olaf Jazz Band, led by Dave Hagedorn, which will be playing some of the duo’s compositions. The Dutz and Wabich are highly inventive, with a slightly irreverent approach to playing any number of percussion instruments. Chris Lomheim Trio @ The Black Dog Coffee & Wine Bar, Saint Paul. 7pm ($5 – $20 suggested Donation) Timeless, the new recording from pianist Lomheim is by turns ethereal, beautiful, and mesmerizing. Tonight he’s joined by Jay Epstein,drums; and Andrew Bergmann, bass. Guitarist Joel Shapira is an inspired choice as a solo opener, setting up the mood for Lomheim. The JazzMN Orchestra: The Little Big Bands @ Hopkins HS, 2400 Lindbergh Dr. Minnetonka. 7:30pm ($10 – $34) Some bands are larger than a combo, but not as big as a big band. These bands – usually 10-12 musicians, have been called little big bands. Groups from Charles Mingus to Oliver Nelson to Miles Davis (think“Birth of the Cool”) to contemporary groups such as Gordon Goodwin’s Little Phat Band, and Pete Whitman’s X-tet all fall within this category. These bands have produced some great music, which hasn’t been played nearly enough, something the orchesatra will help remedy this Saturday night. This past Saturday I did a phone interview with the band’s director, Doug Snapp, which you can listen to here. PipJazz Youth All Stars @ the Maplewood Community Center Theater, 2100 White Bear Avenue, Maplewood. 7pm – 9pm ($25, $5 Students) PipJazz Live presents its annual concert featuring young artists. This time vocalist Pippi Ardennia is presenting Peter Goggin and Ebonee Rainwater on saxes; Maggie Kjeer, vocals; and Levi Schwartzberg on vibes and piano. They’ll be playing alongside the veteran musicians that usually back Ardennia. This event is also a fundraiser, with a number of silent auction items available for your bidding. Here’s Pippi with Billy Peterson on bass. Atlantis Quartet Live Recording @ the Icehouse, Minneapolis. 9:30pm ($8) The quartet (Zacc harris, guitar; Brandon Wozniak, sax; Chris Bates, bass; and Pete Hennig, drums) is a stellar example of 21st Century jazz, creating unexpected twists and turns as they play originals and some jazz standards. I expect they’ll just be doing originals tonight, since they’re recording live. A previous live album, Lines in the Sand, was recorded at the old Artists’ Quarter, with stellar results. Here they are performing a cut from that album. Century Jazz Ensemble @ the Minnesota Music Cafe, Saint Paul. 7pm (No Cover) the Century College Jazz Ensemble has been going strong since 1981, playing around town and at an annual event where they’ve brought in guest artists ranging from Tom Harrell, to Clark Terry, Conte Candoli, Bud Shank, and Ernie Watts. Here’s a chance to see them for free and to show the MMC that you appreciate their willingness to showcase big bands on Tuesdays. Hot Rize @ The Cedar Cultural Center, Minneapolis. 7pm ($35) with Red Knuckles & the Trailblazers. This Colorado traditional/progressive bluegrass band has been thrilling folks since 1978, though their major touring occurred through 1990, with appearances on The Prairie Home Companion and throughout the United States. After the passing of guitarist Charles Sawtelle in 1999, the band reorganized and started touring agin in 2002, and recently released When I’m Free, their first new studio album in 24 years. They’ll bring out their Western Swing alter ego, Red Knuckles & the Trailblazers, for some songs as well. Randy Weeks @ JJ Hill Library, Saint Paul. 8pm ($25) You can call Weeks’ music roots rock, alt-country, or Americana. No matter the name, he’s a helluva songwriter, and puts on a show that will have you rockin’ and boppin’. You’ve heard Lucinda Williams singing his song Can’t Let Go, and have read the praises bestowed on him by All Music, Salon, and New Depression. He currently lives in Austin Texas, and comes to town fairly often, since he grew up in Windom. This is part of the Real-Phonic Radio Hour series, featuring a back-up band that includes Erik Koskinen and Molly Maher. With Ben Weaver Opening. Bring a food shelf donation and get 25% off admission. The Paladins Reunion Tour @ The Dakota, Minneapolis. 7pm ($27) Get out the pomade, leather jackets, and cowboy boots. The Paladins were shining lights of the Rockabilly Revival in the 80s. I believe their first appearance in the Twin Cities was at Mama D’s in Dinkytown in the late 80s, where their energy was not diminished by the small crowd. Throughout the 80s and 90s they headlined clubs and festivals around the world, then went into hiatus in 2004. They first reunited in 2010, and since then have done a few festivals and short tours, such as this one. Yemen Blues @ The Cedar Cultural Center, Minneapolis. 7pm ($20/$25) Yemen Blues is a combination of musicians from NYC, Uruguay, and Tel Aviv, creating music that mixes Yemenite, West African, and Jazz influences for a unique, original sound. Latin, North African, and funk rhythms provide a strong, hip-shaking foundation, while the vocals recall Arabic chants mixed with the blues. Courtney McClean @ Bedlam Lowertown, Saint Paul. 10pm ($5) This probably falls under Other… What can I say, McClean specializes in dirty comedy and bluegrass. If you’ve a mind for such, she’s wrapping up a week and a half on the road with what she calls her Booze, Bullets, and a Banjo tour. She’ll also be finishing up the filming of her tour movie. McClean will be joined by comedians Jenn Schaal and Marial Weidner. Shaggy @ The Fine Line Music Cafe, Minneapolis. 9pm ($18/$20) 18+ This is a show that should have many of the area’s reggae fans out in force. Back in 1995, Shaggy’s dancehall reggae hit Bombastic was all over the airwaves, both here and in Europe. It’s album went platinum and spent a year at number one on Billboard’s Reggae album chart. Since then he’s had other hits, including It Wasn’t Me and Angel in 2001, while Hot Shot, the album they came from sold six million copies. Shaggy’s 2011 releases, an album and an EP, have been been released on his own label. Ray Bonneville @ The Landmark Center, Saint Paul. 8pm ($18) 7pm cocktail hour. Bonneville is a singer/songwriter and guitarist/harmonica player whose 2008 Americana CD Goin’ by Feel, was named one of the best of the year by Downbeat magazine. His most recent Red House CD, Easy Gone, is also gathering rave reviews. SolFlower Collective @ Dakota Late Night, Minneapolis. 11:30pm ($5) A young contemporary R&B group with soulful singing and good songwriting. Vance Gilbert @ The Gingko Coffeehouse, Saint Paul. 8pm ($15) After starting out as a jazz singer, Gilbert switched to folk music and exploded on the singer/songwriter scene in the early 90s, opening for Shawn Colvin, Gilbert has recorded 10 critically acclaimed albums that showcase his union of humor, virtuosity, and the unexpected. He’s now on tour behind his latest, BaD Dog Buffet. Funk on First, Vol II @ First Avenue, Minneapolis. 9pm ($10) First Avenue will jump to the sounds of four different funk bands from the area, headlined by the six-piece New Sound Underground, who’ve been making waves of late with their high energy performances. This funk extravaganza will also feature vocalists for a couple of the bands. Besides New Sound Underground, which with vocalists Reed Grim & Toki Wright, you can hear Pho, with Ashlee Dubose & Jellybean Johnson, Hustle Rose, featuring K. Raydio, and the McNasty Brass Band. Sharon Isbin and Romero Lumbambo @ The Dakota, Minneapolis. 7pm ($40 – $50), 9pm ($35 – $45) Here’s a very interesting pairing of artists. Isbin is an acclaimed classical guitar player, often called the pre-eminent guitarist of our time. She has a catalog of over 25 recordings. Her latest album, Guitar Passions, features guest guitarists ranging from rockers Steve Vai and Nancy Wilson (Heart), to Stanley Jordan, and Romero Lubambo, with whom she is touring. Lumbambo is a jazz guitarist from Brazil, who has performed and recorded with such stellar artists as Diane Reeves, Diana Krall, Michael Brecker, Yo-Yo Ma, and Kathleen Battle. Here’s an example of his playing. Jake Hanson & James Buckley @ Cafe Maude, Minneapoolis. 7pm (No Cover) Hanson on guitar and Buckley on bass are just as likely to launch into a Ventures tune as they are to tackle a jazz standard. This SW Mpls neighborhood restaurant is a good place to hear them, though if you get a reservation for dinner, be sure to state you want to be near the music. Poor Nobodys @ The Black Dog Coffee & Wine Bar, Saint Paul. 7:30pm ($5 – $20 Suggested Donations) Cinematic music with a rootsy vibe, thanks to a line-up of Chris Hepola, piano; Eric Struve, upright bass; Aaron Cantine, banjo & acoustic guitar; Chris Duba, mandolin; Albert Perez, electric guitar; and Jenna Wyse, vocals and accordion. DKO @ Bedlam Lowertown, Saint Paul. 10pm ($5) Improvised electronic music from Jon Davis, bass and bass clarinet; John Keston, keyboards & electronics; and Graham O’Brien, drums. This trio has established themselves as the rhythm section for a couple of funkified techno groups in town, and has played as a trio at a number of high profile gigs at events like Art-A-Whirl, and the Northern Spak Festival. Their method is to improvise from scratch, often with no breaks. Their music will keep your head bobbing and your toes tapping. What a week! We have four CD releases (two each on Friday and Saturday), as well as a few visiting artists and interesting combinations of resident artists. I’m finishing this up while on vacation, so please excuse the lack of photo. I’m publishing a bit early, and have tried to include links to videos where possible. Whitman, Lomheim, Young & Hey @ Jazz Central, Minneapolis. 8:30pm ($10 Suggested Donation) Pete Whitman brings a trio of first call musicians to join him for tonight’s edition of the New Music Series. Pete Whitman, sax; Chris Lomheim, piano; Jay Young, bass; and Phil Hey, drums. Connie Olson @ Jazz Central, Minneapolis. 7:30pm ($10 Suggested Donation) It’s a Thursday, so it’s vocal night at Jazz Central, tonight featuring Ms Olson, who grew up here, but moved to Los Angeles during the 80s. Since then she’s worked with the Peter Duchin Big Band, as well as musicians from Manhattan Transfer, and the bands of Prince and Madonna. She has a particular interest in the music of Doris Day. Friday, October 17 Babatunde Lea Quintet @ Jazz Central, Minneapolis. 7:30pm ($10 Suggested Donation) Babatunde Lea is now a resident of Saint Paul, which hopefully means we’ll be seeing more of him in the clubs. For those of you who aren’t aware of Lea, he plays a combination of trap set and congas, and has played with Pharaoh Sanders, Leon Thomas, and Stan Getz, among others. For tonight, he’s gathers some of the area’s best musicians: Nelson Deveraux, sax; Zacc Harris, guitar; Phil Aaron, piano; and Graydon Peterson, bass. Here is an example of how he plays drums and congas at the same time. Connie Evingson w/the John Jorgenson Gypsy Jazz Quintet Album Release @ The Dakota, Minneapolis. 7pm ($35), 9pm ($30) A highly anticipated collaboration. The John Jorgenson Gypsy Jazz Quintet may be the best exponent of gypsy jazz in the United States. Jorgenson is an imaginative virtuoso guitarist who is equally at home backing Elton John, or playing country and bluegrass, but gypsy jazz is his love. Our own Evingson is a stellar vocalist who is equally versatile and highly conversant with the form, having recorded two excellent albums, Gypsy in My Soul, and Stockholm Sweetnin’ with four different hot club groups. Hear her from the Stockholm Sweetnin’ album here. Dean Magraw & Eric Kamau Gravatt CD Release @ The Landmark Center, Saint Paul. 8pm ($20) This drum/guitar duo is anything but boring, but then, both players are virtuosos on their instruments, and have the ability to musically communicate with each other in an almost telepathic way. Magraw is a versatile guitarist whose background includes playing with Greg Brown, Jack McDuff, the Saint Paul Chamber Orchestra and numerous Irish bands. As recently as a few years ago, Gravatt toured with McCoy Tyner. He’s also played with Joe Henderson and Weather Report, and Natural Life, and can be seen around town leading his own Source Code. The album features originals ranging from an homage to the funky drummer for 60s soul group Dyke & the Blazers, to a lilting Irish air, and a sun-filled melody for cruising down a highway. Chris Lomheim Trio CD Release @ Studio Z, Saint Paul. 7pm ($10) Chris Lomhein, piano; Gordon Johnson, bass; and Jay Epstein, drums have gotten together to record a CD 20 years after their first CD together. The result, Timeless, covers a range of moods, from the sprightly To Feel or Not To Feel, to the stately Dedication. The playing of the trio is, at times, luminescent. To be sure, Timeless has many uplifting moments. PipJazz Live: Pippi Ardennia’s Birthday Bash @ The Capri Theater, Minneapolis. 7pm ($25 Adult/$5 Student) Pippi sings in the moment, changing lyrics, stretching a groove, and occasionally changing the rhythm to suit her mood, backed by an all-star band of Twin Cities artists. The PipJazz Live series features young guest artists, and for this occasion Pippi will have Peter Goggin, a Moundsview HS senior as her guest. Peter’s sax playing is very impressive, as he has demonstrated as a two-year member of the Dakota Combo. Michael Attias w/Pat Moriary, Ellen Lease, Chris Bates @ The Black Dog Coffee & Wine Bar, Saint Paul. 6pm – 8pm ($10/$5 students Suggested Donation) Minnesota raised and NYC-based saxophonist/composer Michael Attias is visiting once again as part of a tour that includes performances in Chicago and at Edgefest in Ann Arbor. He’s taking this opportunity to play with his former teacher Moriarty, sax; Ellen Lease, piano; and Chris Bates, bass. You can expect compositions from each group member as well as some free improvisation, which in the hands of these musicians, can be quite wonderful. Here is an example of Attias and Moriarty playing together. Dave Brattain @ Jazz Central, Minneapolis. 8:30pm ($10 suggested Donation) Brattain is a melodic, expressive saxophonist who teaches at Wayzata HS and has played with the CedarAvenue Big Band for over 20 years. He’ll be using this opportunity to have fun playing songs outside of his usual repertoire, backed by the Jazz Central rhythm team. There’ll then be a jam session starting about 10pm. Fall of the House of User @ The Icehouse, Minneapolis. 10pm ($8) Bassist Chris Bates heads up this horn-heavy group, which experiments with improvisation of world music, including some elements of spoken word. Chris Cunningham, guitar; Nelson Deveraux, Adrian Larkin, Elliot Wachs, and Jon Davis; saxophone, and Greg Schutte, drums. Twin Cities Hot Club Trio @ Barbette, Minneapolis. 10pm. (No Cover) Seems like the Barbette is sticking its toe in the water of live music once again after an absence of a few months. So far it’s only Monday nights. Tonight the Twin Cities Hot Club Trio is performing. The TCHC calls on a number of musicians, depending on the gig, but it appears that Robert Bell and Stan Ponkin, guitars, and Matt Peterson, bass will be playing while you enjoy a fabulous happy hour. Explosion Big Band @ Jazz Central, Minneapolis. 8:30pm ($10 Suggested Donation) This is a good name for this 18 piece band led by Doug Haining, sax; and Scott Agster, trombone. Jazz Central provides a relaxed room in which to revel in their power. Wednesday, October 15 Dan Israel on KFAI and @ the 331 Club, Minneapolis. 5pm (90.3 & 106.7FM), 7pm (331 Club – Tip Jar) Generally recognized as a rocker (albeit of the softer variety), Israel writes honest and personal songs that work well with his three-piece band, the Cultivators, as well as solo. He’s been playing around the Twin Cities for 20 years or so, and has released a dozen albums, including Danthology, a 2LP overview of his work. Tune in to listen, then head over to the 331 Club if you like what you hear. Papa John Kolstad @ Vine Arts Gallery, 2637 27th Ave So, Minneapolis. 6:30 – 8:30pm (Free) This event is part of KBEM’s Gallery Grooves series. Gather to look over the art exhibition, Get Behind the Work II, presented by the Members of the Vine Arts Gallery. There will be refreshments, and an artist talk, while Papa John and perhaps some Friends provide acoustic swing to accompany your art-filled, and artful conversations. Watch him at work. Orkestar Bez Ime @ The Black Dog Coffee & Wine Bar, Saint Paul. 7:30 pm (Tip Jar) Move the tables, because there is going to be some some wild and raucous dancing to the highly energetic Balkan dance sounds of OBI. Kat Edmonson @ The Dakota, Minneapolis. 7pm ($25) With a light voice that’s part waif, part siren, and a little bit of Billie Holiday, Texas-born Edmonson has toured with Lyle Lovett, and has appeared on Austin City Limits and Prairie Home Companion. Though her releases have shown up on the jazz charts, she incorporates rock n’ roll, country, and folk into her originals, and re-imagines both well-known pop songs as well as standards. check her out. Sena Ehrhardt Band @ Wilebski’s Blues Saloon, Saint Paul. 6pm – 10pm ($?) Ehrhardt is making a name for herself as a major blues rockin’ talent, as evidenced by a very positive review in the latest issue of Downbeat magazine. This early show lets you go home early or gives you time to visit another club and make a two-fer of music for the evening. The House Party @ Harriet Brewing, Minneapolis. 7pm. Harold Tremblay of KFAI’s House Party brings his partying friends to the Tap Room, starting at 7pm with the Zach Guaza Duo (you may know Zach from Sans Souci); Hurricane Harold himself takes the stage with compadre Doug Otto at 8:15, and one of the area’s best Americana/soul/rock n’ roll singers, Jon Rodine, who also pens great originals, closes out the night with Friends at 9:30pm. Mauilotus: The Marilyn Allysum Group @ The 1st Unitarian society, 900 Mount Curve Ave, Minneapolis. 7:30pm ($20, $15 advance) This is music that seems to go beyond genres, with aspects of jazz, folk, and a number of world musics. 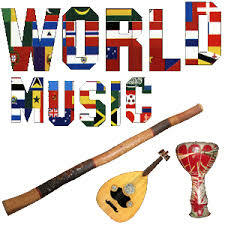 Some of the tunes were written by Indian poet saints in the 15th and 16th centuries. Others are based on ancient yoga of sacred music. And still others are written by Marilyn Allysum, flute, piano, vocals and the Gu Zheng, a Chinese plucked zither with 21 strings. Additional musicians in the group include Charles Fletcher, bass guitars; Mike Hurley, drums and percussion; and David Wolfe on Persian harp. The resulting music can be contemplative and uplifting at the same time. Lil’ Ed & the Blues Imperials @ Famous Dave’s, Minneapolis. 9pm ($7) The excitable and exciting slide guitar master will grab your body with his music and won’t let go until both you and he are spent. Here’s a fine example of his slide playing. Food Truck Rally with Music @ Harriet Brewing, Minneapolis. 12pm – 10pm (Free) Besides 18 food trucks (who has the kind of stomach to sample even half of them? ), the rally features Jack Klatt & the Cat Swingers (1pm), Doug Otto & the Getaways (2pm), Everett Smithson Band (5pm), Mary Cutrufello Band (7pm), and The Federales (9pm). Singer/Songwriter Showcase @ Patrick’s Cabaret, Minneapolis. 8pm ($10) Featuring Jack Klatt, Bernie King, Jake Rowan, and Emily Dantuma. There’s a FaceBook page with bios of all the performers. Phil Heywood CD Release @ the Riverview Wine Bar, Minneapolis. 8pm ($13) Phil has a new CD out, Rollin’ On, in which the ace fingerpicker plays some blues, rags, Beatles, and Dylan, as well as some Bob Marley tunes where he effectively implies a reggae beat. Special guests Tim Sparks and Dakota Dave Hull will add to the fun. Maurice Jacox @ The Normandy Kitchen, Minneapolis. 7pm? (No cover) You’ll have to call the Normandy to find out the exact time, which is just as well, since this throwback bar has limited seating, and you’ll want a reservation if you want to hear Maurice’s acoustic interpretations of Holland-Dozier-Holland tunes, or his Nat King Cole songs, or any of the rest of his repertoire of pop and vocal standards. Buzzirque and the Tom Robinson Band @ Zeke’s Unchained Animal, Minneapolis. 7pm – 10pm. This benefit for KFAI features some veterans of the Twin Cities Music Scene. I have spotlighted The Tom Robinson Band before, for its sensuous Brazilian rhythms, and Tom’s new translations of Brazilian lyrics, which give a different insight into Brazilian life than standard English translations. He’s joined by core group members Tony Moreno on drumns, and Tom Church on reeds, as well as a few other musicians. Buzzirque, which takes the stage at 8:30, is led by drummer John Hewitt, who played in the Urban Guerillas in the 80s, and a number of other bands since then. Herb Alpert & Lani Hall: In the Mood @ The Dakota, Minneapolis. 8pm Saturday, 7pm Sunday, Monday ($50, $60, $70) Alpert is one of perhaps a handful of artists that can make a three night stand at the Dakota work. Consider: Five albums on Billboard’s top 20 at the same time; 75 million records sold; 7 Grammys, and a National Medal of Arts, awarded by President Obama in 2013. His Wife, Lani Hall has a marvelous voice, which first came to our attention when she was in Sergio Mendes and Brazill 66 (recording for Alpert’s A&M Records). He’s certainly earned the right to retire, but is touring behind last year’s new record, Steppin’ Out, with a fun video for the single of the venerable Puttin’ on the Ritz, below. Paul Metsa & Willie Walker @ The Richfield American Legion Post #435, Richfield. 5pm (Tip Jar) Here’s a fine way to spend a couple of post-work hours, listening to Walker sing while Metsa accompanies on guitar. Their song list ranges from Bob Dylan to Al Green, with many soulful songs in between. Food and drink are available. Here they are performing at Shaw’s. Vinyl Voices @ Harriet Brewing, Minneapolis. 6pm – 9pm (No Cover) Each week a couple of KFAI deejays share their record collections with beer drinkers in the brewers Tap Room. Tonight I’ll be spinning soul from the 60s and 70s, while Rudy Aguilar (Radio Pocho) will bring 80s synth pop, 90s dance, and disco. Ruthie Foster @ The Dakota, Minneapolis. 7pm ($40) Is there a performer as warm and insightful as guitarist/songwriter Foster? Though she is regularly nominated for a Grammy in the Blues category, her songs encompass much, much more. She’s touring behind her latest, Promise of a Brand New Day, produced by Meshell Ndegeocello. Its songs range from slow Memphis grooves to gospel shouts, sensitive ballads, and both acoustic and electric blues, including a song written with William Bell and a cover of Gene McDaniel’s radical (for its time) Outlaw. Listen to her perform It Might Not Be Right.